A southern Alberta woman accused of hoarding dogs has pleaded guilty to one count of failing to appear in court. A southern Alberta woman accused of hoarding dogs has pleaded guilty to one of the 15 charges she faces. 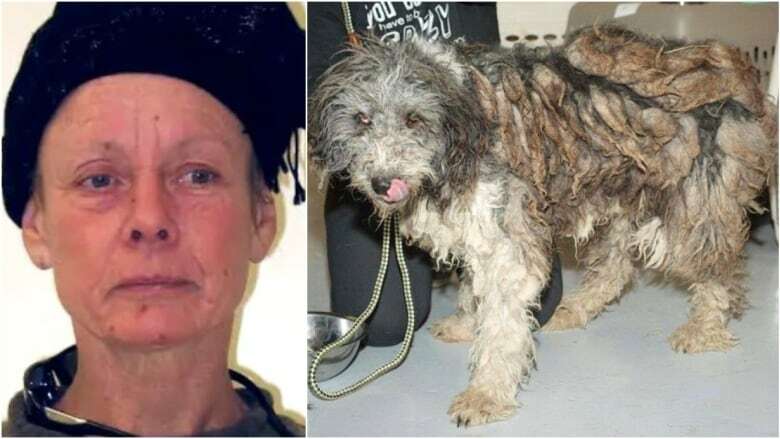 April Dawn Irving, 59, pleaded guilty to one count of failing to appear in court and not guilty to 14 other charges related to cruelty to animals and causing or permitting an animal to be in distress. Her lawyer appeared on CCTV from the Calgary Remand Centre on Friday to enter the guilty plea. Justice Derek Redman sentenced Irving to 30 days, but she had already served that time. Irving ignored two court orders to appear in court and had a warrant issued for her arrest in February 2016. She is due back in court on April 23 for a pre-trial conference related to her not guilty plea for the other 14 charges. Irving's involvement with the law stems from 2014, when officials seized 201 dogs from her property near Milk River, Alta. The animals were found dehydrated, starving and chained in the yard. Five other dogs were found dead. Irving was charged and then failed to appear in court in 2016. She was believed to have been living in Jamaica until appearing in Canada earlier this year. She was arrested in Manitoba in January and returned to Alberta to face the outstanding charges. Irving has been undergoing a psychiatric assessment, which may be finished in the next week or so by doctors at the Southern Alberta Forensic Psychiatry Centre, she told the court. She once again requested to remain in a medical facility in Calgary and out of general population, due to a traumatic brain injury and anxiety. She also is waiting to see an orthopedic surgeon related to a knee injury sustained while in Jamaica. Her lawyer, Bjoern Wolkmann, has previously told the court that Irving may have serious mental health issues that may result in her being held not criminally responsible or unfit for trial.